Who are Canadian real estate cash buyers? 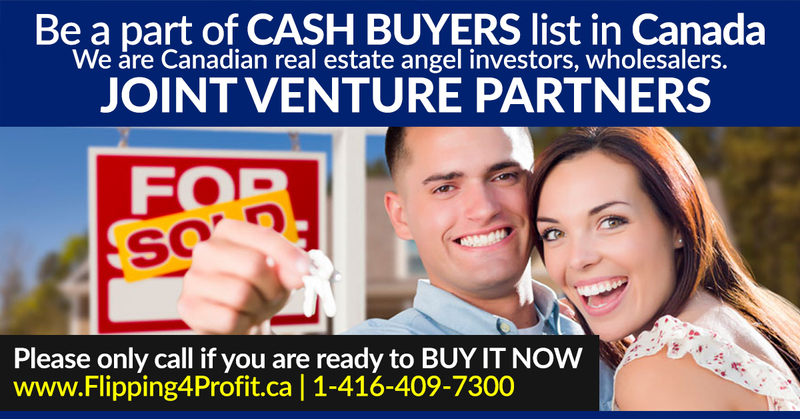 Canadian Cash Buyers in Real Estate are entities who have bought real estate with cash, or members of Professional Real Estate Investors Group (PREIG) Canada. Canadian real estate cash buyers can buy real estate at deep discounted prices, and have the resources to do so. Canadian Real estate cash buyers will buy all kind of properties including houses, condos, multi units, commercial, industrial and land. All they need is information on the current market value, and the after repair value. They can close deals really really fast because of market research and current trends. 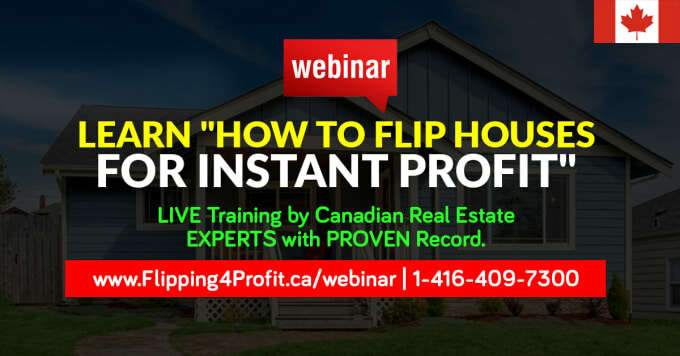 Cash buyers have taken training and coaching from www.Flipping4Profit.ca and are active members of the Professional Real Estate Investors Group (PREIG) Canada. Canadian real estate cash buyers can be wealthy Canadians, real estate renovators or rehabbers and wholesalers, who have the capital or access to private hard money lenders to purchase properties without conventional financing. 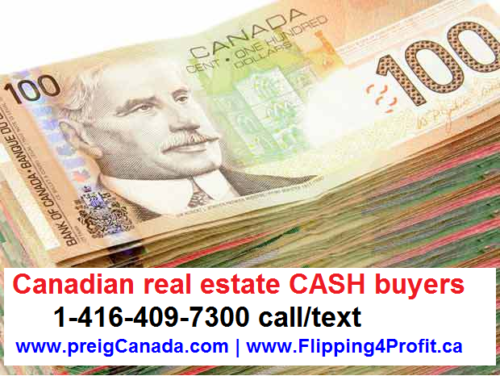 Are you a Canadian Real Estate CASH Buyer? 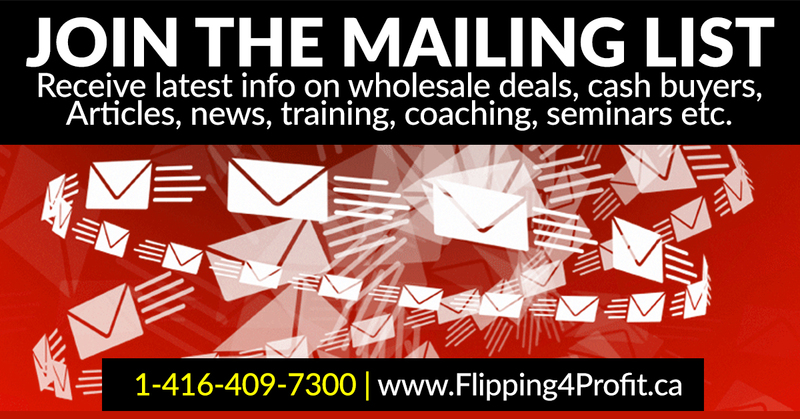 Please add your name, valid email, Canadian mobile number to receive wholesale deals and timely information including meetings, bus tours, seminars & coaching! Please add preigcanada@gmail.com in your address book to receive emails in your inbox! 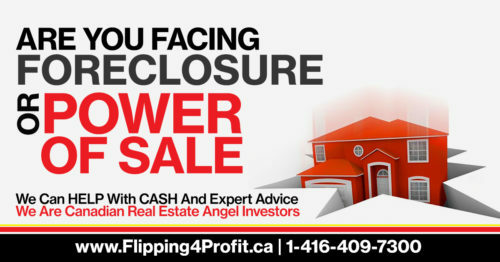 Canadian real estate cash buyers do not need to get qualified for financing to close on a deal. 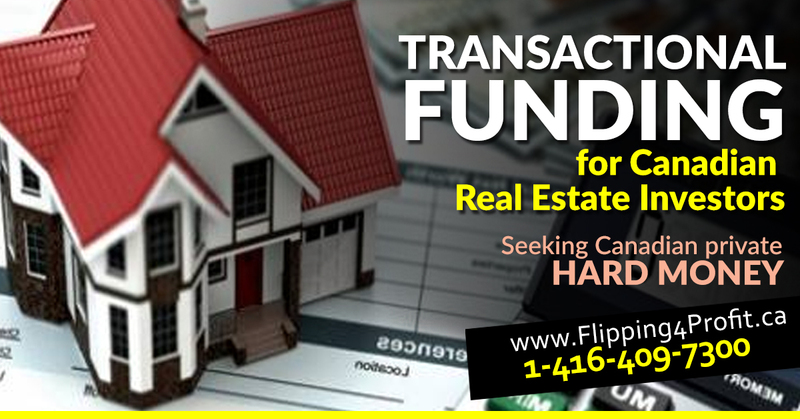 Real estate cash buyers can close quickly once appraisal is done because they offer all cash for their real estate deals and understand real estate acquisition is at deep discount with all cash. 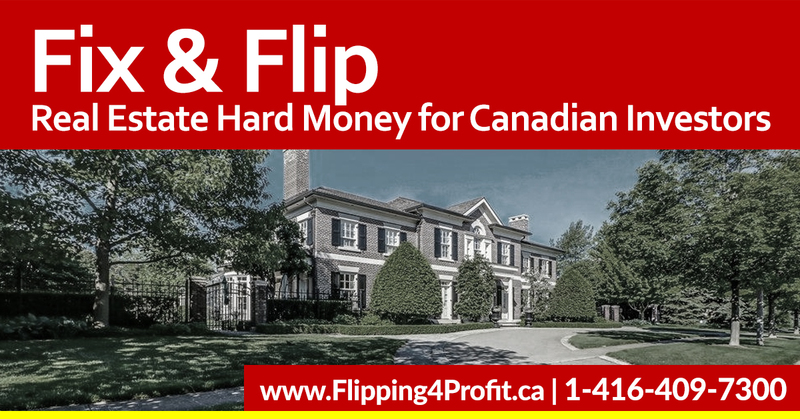 Canadian real estate cash buyers are essential to any real estate investment business, and are exceptionally good at creating success in quick flipping. 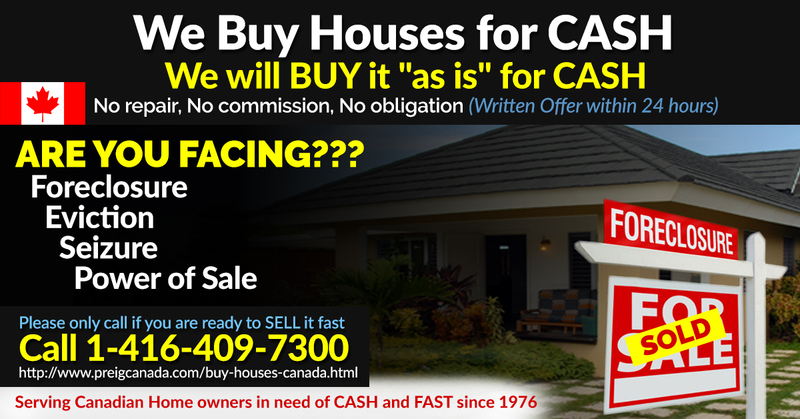 Without Canadian real estate cash buyers …you are not in business! Having real estate is useless if nobody wants to buy it, Cash buyers want your real estate deals, and will buy them from you. Any good real estate investor know that having access to a Canadian real estate cash buyer makes a huge difference. 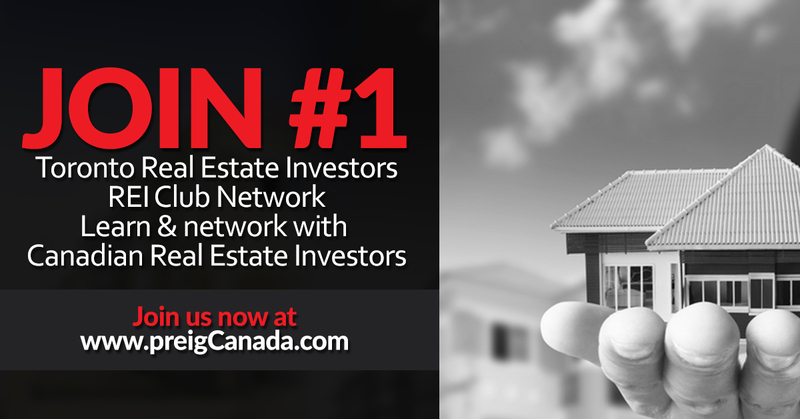 Join professional real estate investors’ group (PREIG) Canada membership right away. Learn from fellow Canadians with proven record. Canadian real estate cash buyers like to deal with professionals wholesalers who have in-depth knowledge of local market, laws and banking. Don’t forget to attend live upcoming networking, training, live eye witness deals in the trenches, apprenticeship and seminars to expand your business horizons. Canadian real estate cash buyers feel more comfortable dealing with those who they have seen in local real estate networking meetings rather than strangers. We have been serving successfully fellow Canadian real estate investors, cash buyers and wholesalers from 1993. Real estate cash buyers in Canada are vital in investing in Canadian real estate. Meet Canadian real estate investors at Professional real estate investors group (PREIG) Canada's network events to meet real estate cash buyers.Wholesale Canadian real estate investors are at real estate investors monthly meeting to connect with Canadian real estate cash buyers as well as seeking for discounted deals.